Home > Blog > Floral Forecast > Gypsophila Xlence VS Gypsophila Million Stars: What Are The Differences? 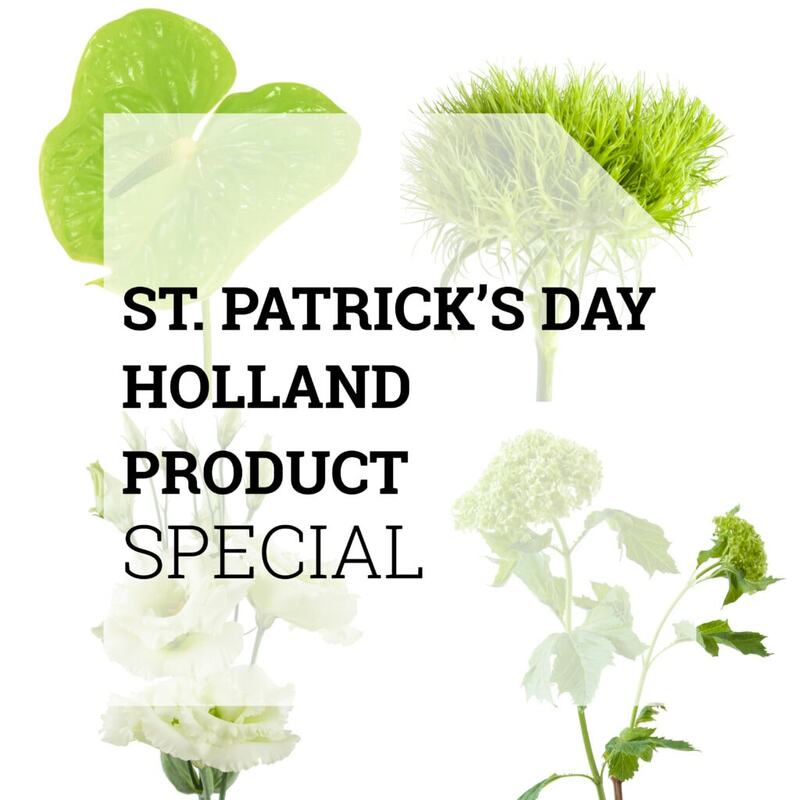 Do you ever go through our webshop, see the list of all available Gypsophila varieties, and don’t know which variety to put in your shopping cart? Whether you need Gyps for a wedding bouquet or your everyday bouquets, you want to know which kind of type you need! 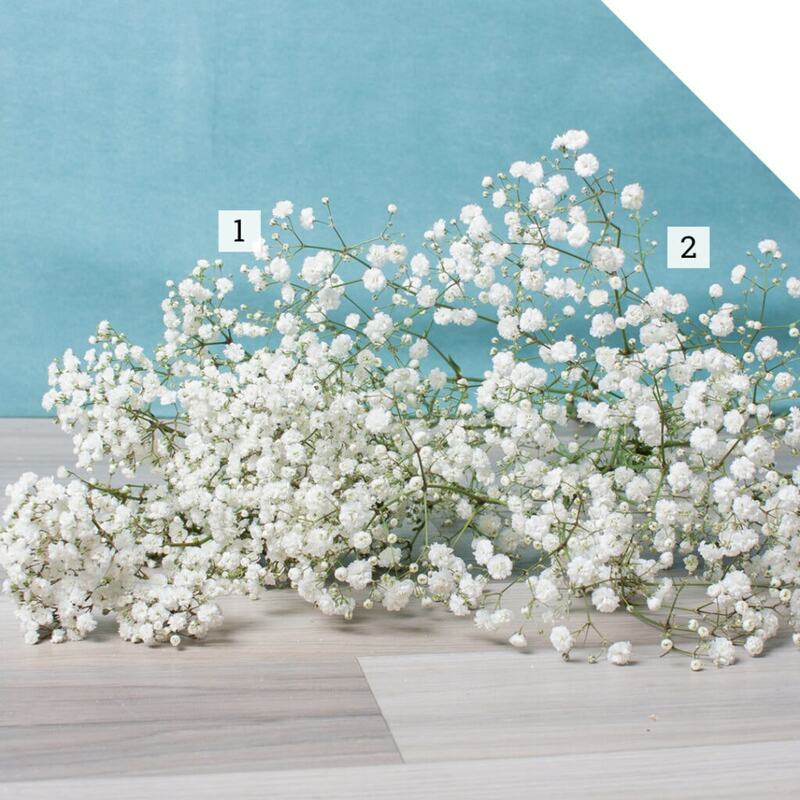 In this post, we’ll explain to you what the differences are between Gypsophila Xlence and Gypsophila Million Stars! Various Bloom Sizes – Take Your Pick! The main difference between the varieties Gypsophila Xlence and Gypsophila Million Stars is the size of the flower heads. Gypsophila Xlence has a bigger bloom size. Just imagine, each bloom has the size of a coffee bean (5 to 10 mm). Compared to Gypsophila Million Stars, whom flowers have approximately a diameter of 4 to 6 mm, Xlence blooms are large! Another great distinction between the two Gypsophila varieties is the fragrance. We all know that the scent of Gyps isn’t the best… That’s why it is essential to know for which type of design or event you are going to buy your Gyps. Is it to decorate an outdoor wedding reception? Than fragrance isn’t that important. But when you are going to design wedding boutonnieres, it must be bearable to wear them all day long. Million Stars has a much milder fragrance than Xlence. Gypsophila is known as Baby’s Breath and is very popular for floral wedding decorations. It adds a delicate, romantic touch to any arrangement. 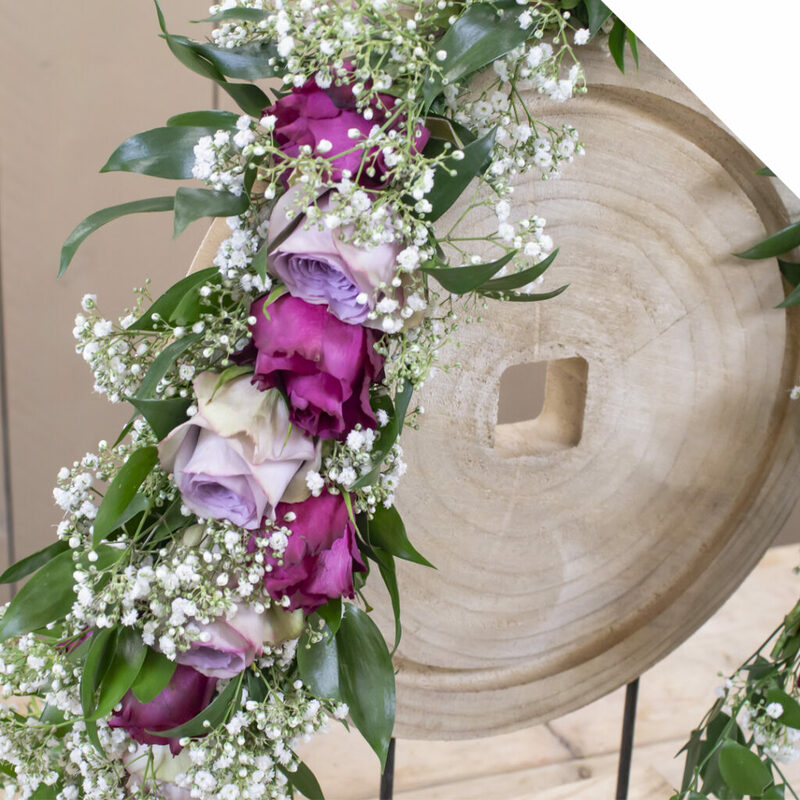 Pick your design style, and there will be a Gypsophila variety that suits your needs! In delicate designs, it is an excellent option to use Gypsophila Million Star, and for exuberant arrangements Gypsophila Xlence is the best choice. Want to go all out? Mix these two varieties of Gypsophila to give your design a more attractive and striking appearance! 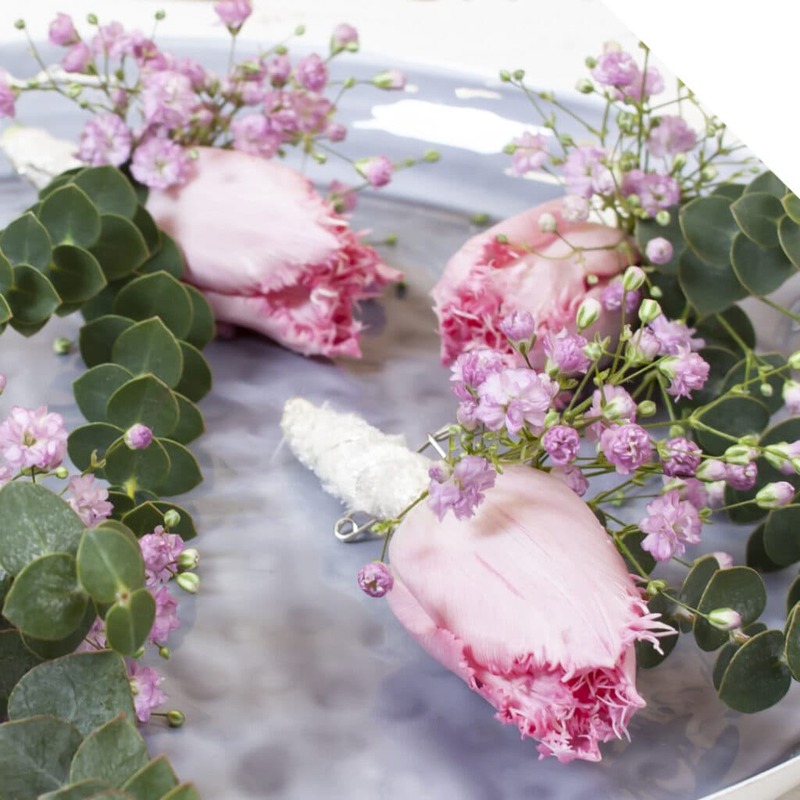 Would you like to know more about the stunning Gypsophila? Visit the flowerwiki page here! For more design inspiration you can also visit our Pinterest mood board. We have a broad range of Gypsophila varieties available in our webshop, log in here to see the current offerings. US customers: don’t miss out on the excellent quality Gypsophila Xlence in our Miami department!